In an era when even the least expensive prosumer camcorder touts the latest flavor of high-definition 24p, it's easy to forget that as recently as 2000, aspiring to--much less achieving--the cinema-like imagery of 24 frames per second on HD video was the exclusive domain of George Lucas, busy pushing the envelope on his Star Wars prequels. 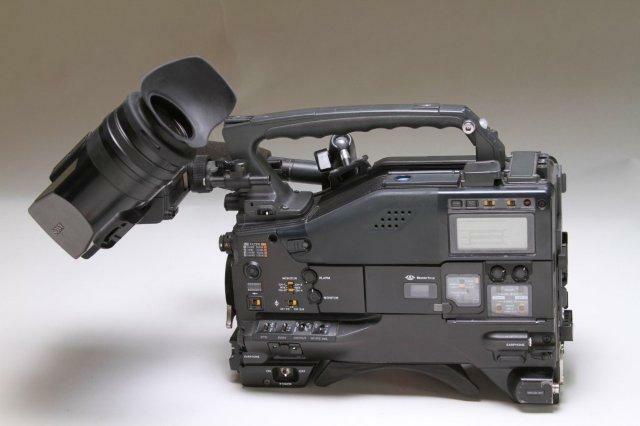 The camera he used, the first of its kind, was Sony's CineAlta HDW-F900, and the number of prestigious widescreen and television productions it went on to shoot ultimately won it a 2004 Primetime Emmy for Engineering. If you wanted to achieve the rich look of 35mm film on video, at dramatically reduced costs, shooting HDCAM on the HDW-F900 was the only game in town. 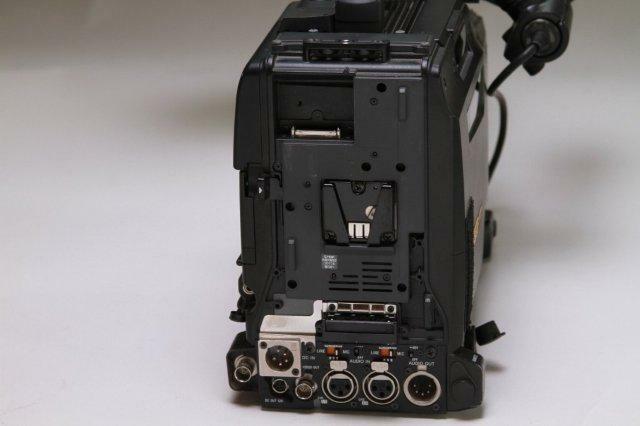 HDCAM's reputation as the go-to HD production format for top quality programming was built on the shoulders of the HDW-F900. And now Sony's HDW-F900R (the 'R' stands for "refined") continues that tradition. It's a smaller, lighter, more versatile version of the workhorse F900, incorporating such refinements as two built-in HD-SDI outputs, hyper gamma capability, reduced power consumption, and (with optional boards): image inversion, slow shutter, picture cache, interval recording, and downconversion with 2-3 pulldown. On top of the F900's original, industry-standard features and large 2/3" sensors, these refinements provide the greater flexibility and creative control that professional shooters have been asking for. And in terms of image quality and accessories, the F900R remains fully compatible with its predecessor--no modifications are needed for existing third-party items. The HDW-F900R, like the F900, continues to excel at what it does best: capturing high-end, film-like imagery that meets the most rigorous broadcast standards. And it does so with the ease and control of shooting 35mm--without film's higher cost. That's something the most tricked-out prosumer minicam can only dream about. The HDW-F900R uses Hyper HAD sensor technology incorporating the latest FIT sensor and on-chip lens structure. Three 2/3" FIT CCDs each with 2.2 million-pixels provide excellent imaging quality, acquiring pictures at 1920 x 1080 CIF (Common Interchange Format) resolution. 12 bit A/D conversion and advanced digital signal processing ensures excellent tonal reproduction, for the most demanding applications. TruEye virtually eliminates hue distortion, especially in extreme lighting conditions. TruEye processes video data in a similar way to the human eye--processing brightness, hue and saturation. This significantly improves the reproduction of natural skin tones. Multi Matrix provides further in-camera creative control and can be used to match colorimetry during multiple camcorder shoots. It is also effective for manipulating the hue and saturation of specific selected colors within a scene. One example would be to adjust the hue and saturation of a flower petal without changing other colors within the picture. Auto Trace White (ATW) is a feature that automatically adjusts the white balance as lighting conditions change. This is ideal when shooting in rapidly changing lighting conditions (for example, when moving from an indoor to an outdoor location). Conventional Auto White Balance is also available. The CvpFileEditor can be used with the HDW-F900R for creation of custom gamma curves. Existing gamma curves, generated for use with the original HDW-F900, can also be applied. 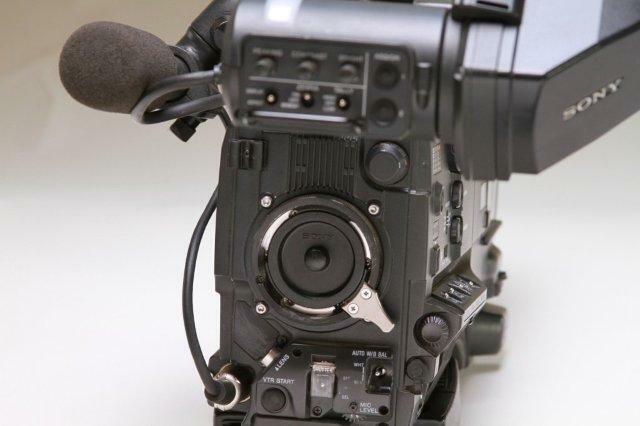 The HDW-F900R records up to 50 minutes onto a small HDCAM tape when shooting in 24P mode. Maximum record durations at 50i and 59.94i are 48 minutes and 40 minutes. The HDW-F900R is equipped with dual optical filter wheels. You can choose from the following Neutral Density (ND) settings: CLEAR, 1/4ND, 1/16ND and 1/64ND, and the following Color Correction (CC) settings A:5600K, B:3200K, C:4300K and D:6300K. The HKDW-702 HD to SD downconverter option used with the HDW-730S and HDW-750P HDCAM camcorders can be used with the HDW-F900R. SDI or analog VBS can be output from the camcorder when this option is fitted. Alternatively, the new HKDW-902R board can be installed. In addition to downconversion, 2-3 pulldown is supported which allows NTSC monitoring at 59.94i when the camcorder is running at 23.98PsF. The new HKDW-905R option can be installed into the HDW-F900R to add slow shutter capability (up to 64 frames) and image inversion. The slow shutter feature can be used to either boost sensitivity or to enable motion blur to be used as a creative tool. Image inversion allows the camcorder to be used with a wider range of anamorphic and film lenses. It's always annoying to miss a great shot, especially when shooting wildlife footage. Picture cache recording provides an additional chance to capture the action even if it occurred before the REC button was pressed. An optional HKDW-703 can be installed into the camcorder to provide this feature. This allows you to capture up to 8 seconds of material immediately before you press the record button. The optional HKDW-703 also provides Time Lapse (Interval) Recording. 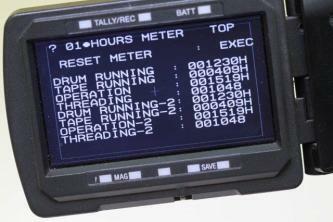 In MANUAL mode, 1 to 8 frames are recorded each time the REC button is pressed. 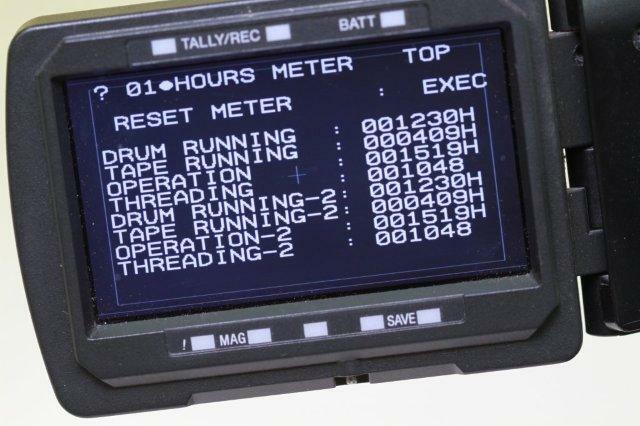 In AUTO mode, the overall recording time is set (e.g., 10 minutes) along with the playback time on tape (e.g., 10 seconds). Using the picture cache to achieve Time Lapse reduces the mechanical wear to the record mechanism. The HDW-F900R is equipped with two HD-SDI outputs as standard, allowing high definition pictures to be monitored directly on-site without the need for an additional adapter. One of these outputs can be switched to standard definition when the camcorder is fitted with an optional HKDW-702 or HKDW-902R board. The HDW-F900R uses the same optical axis as the original HDW-F900. That means the lens accessories developed for the HDW-F900 can be used without modification. Four channels of digital audio can be input to the HDW-F900R via two XLR inputs. Each XLR receives 2 channels of AES/EBU audio data at 20 bits resolution. You can slot a Sony wireless receiver directly into the chassis of the HDW-750P. This adds wireless receiver functionality without compromising the compact ergonomic design of the camcorder. A Sony WRR-855A/B can be used. The design of the HDW-F900R is based on years of Sony experience in camera design and provides a high level of mobility and balance to minimize fatigue in all shooting conditions. Combined with the viewfinder, battery, cassette and microphone, the total weight is only 11.9 lbs (5.4 kg).